Sometimes you want a curry on the move. It could be a good fill up or simply a snack. I’ve tried both at Desi’s Indian food stall in the covered market. 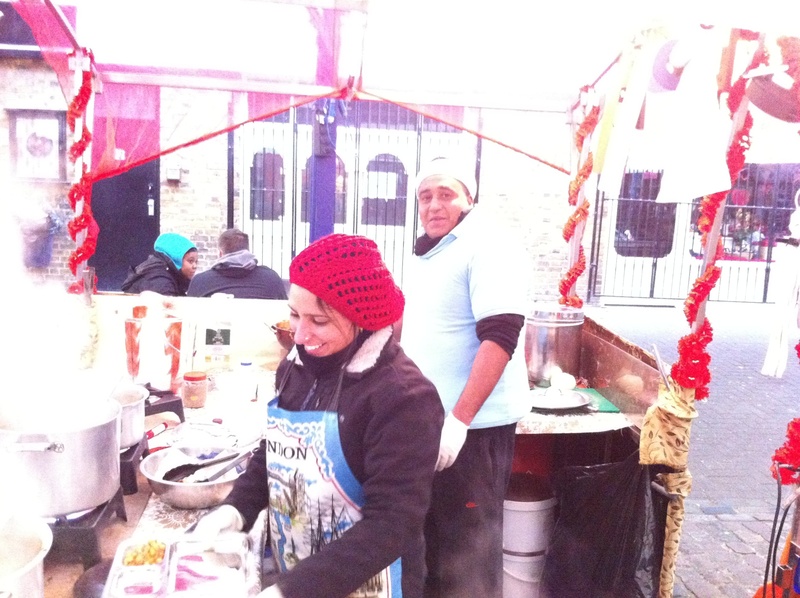 Run by wife and husband team, Anu and Bemal, the delicious food is available on Tuesdays, Wednesdays and Thursdays. The potato and onion bhajis (four for £1) are simply the freshest I have ever tasted. Mixed, rolled and cooked in front of your eyes, you will get a crunch you won’t recognise from your usual restaurant bhajis (most double fry them because of time) and the generous filling is cooked to perfection. But don’t linger because there are samosas to be tried (lamb, chicken or veg, two for £1.50) before the mains. There is Chana Masala and Aloo Mutter (both £4 with rice) or the old favourite Chicken Tikka Masala (£5 with rice) but I say go for the Lamb Rogan (also £5 with rice). Cooked on the bone as it should be if you want the tastiest meat, it is smothered in a thick, dark sauce. Be prepared for some finger lickin’.